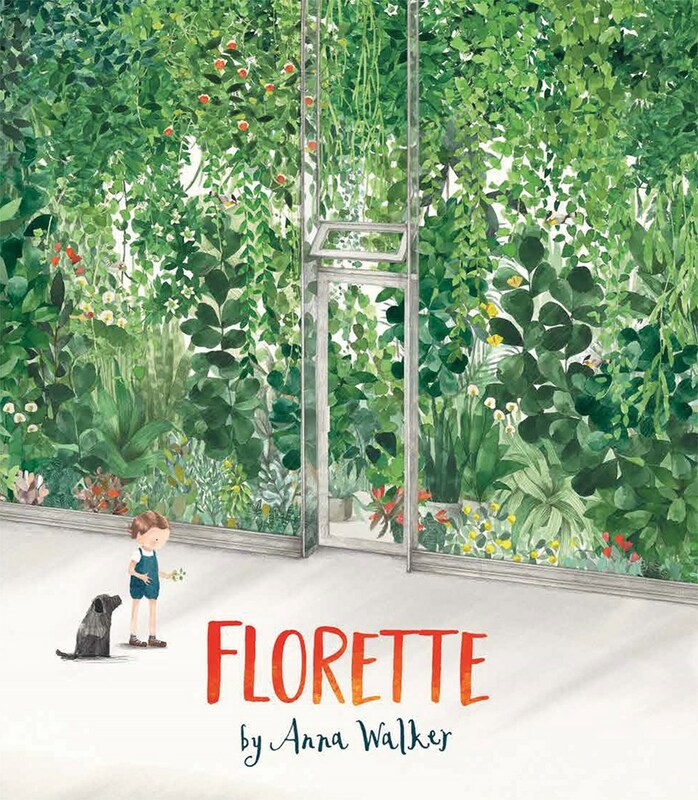 Anna Walker joins us today to premiere the trailer for her brand new picture book, Florette! Watch the video below, then keep reading to learn more about the inspiration behind the story. Can you tell us a little bit about the story in FLORETTE? 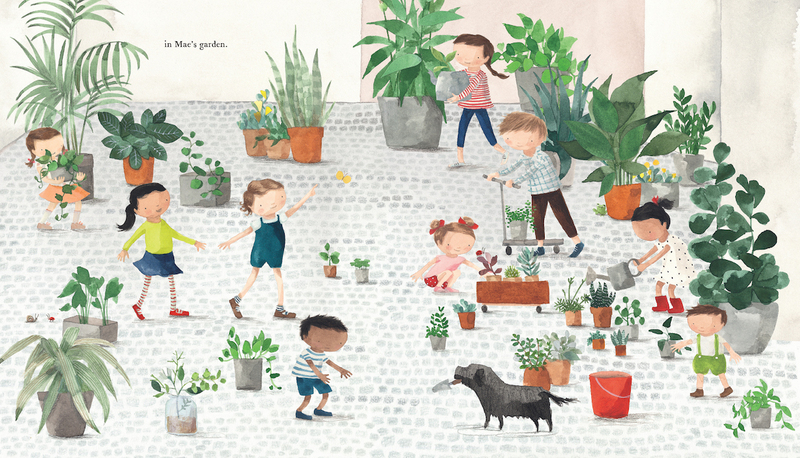 Anna: When Mae’s family moves to a new home, Mae wishes she could bring the garden with her. She misses the apple trees and butterflies. There is no room for a garden in the city. . .or is there? 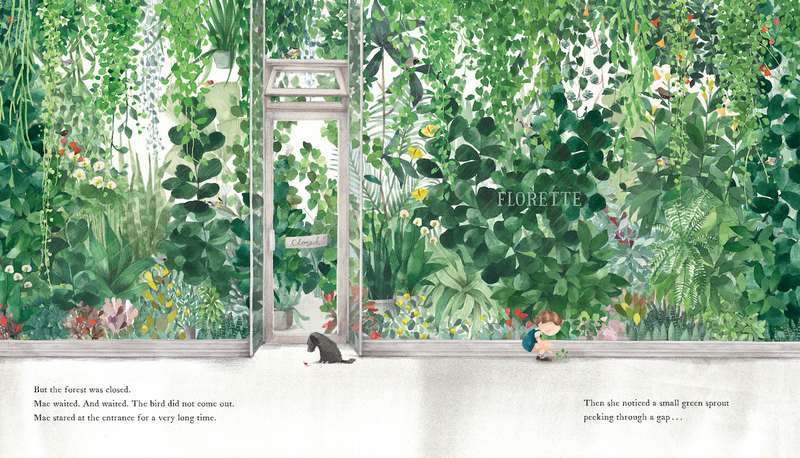 Florette is the story of a child’s imagination and the magic of the natural world in a new environment. The contrast of gray and rigid with green and life is a treat for the eye. What materials did you use to make the illustrations in this story? Anna: I used watercolour, ink, pencil and collage. Do you have a favorite moment or page from the story you’re really excited for readers to see? Anna: I have two favourite moments. The first is Mae standing in the rain watching all her chalk drawings washed away. I was happy with the feeling created in this image. And the second moment is the crayon garden created by Mae on the boxes. I was delighted with the way the colours came together on this spread. 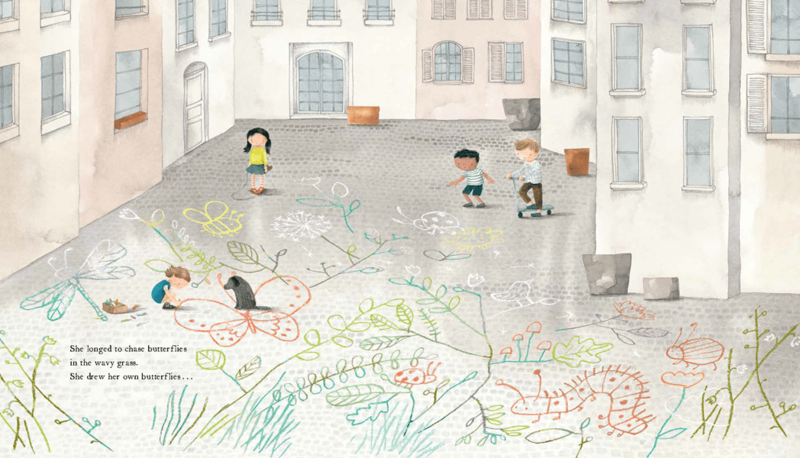 Are there any gardens or parks you drew on for inspiration when working on the story? 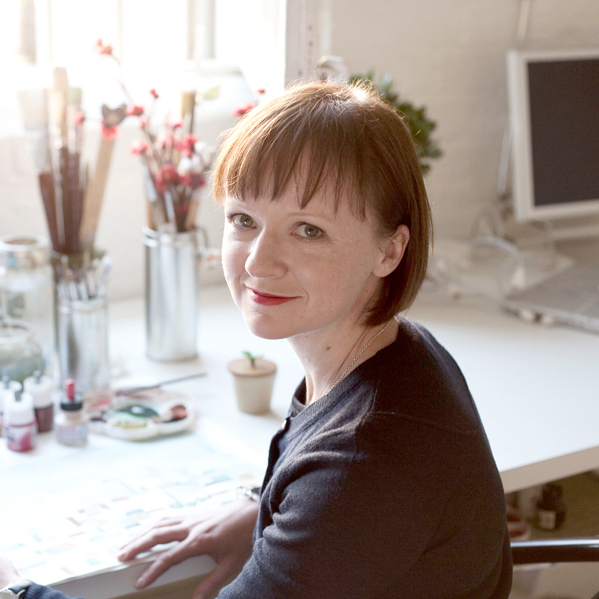 Anna: In Melbourne, Australia there is a beautiful florist/nursery called Glasshaus just near my studio. I visited regularly to look at the plants and the greenery! 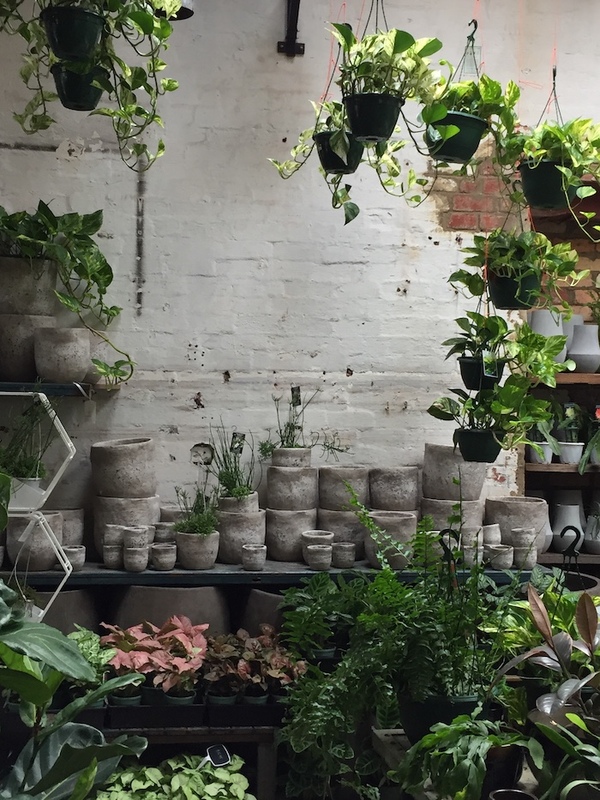 Anna: Florette was inspired by travelling to Paris with my family and seeing a shop window full of plants from floor to ceiling. The shop was closed. . . but I kept thinking about that tiny forest in the middle of the city. And so Florette began. Thanks for sharing the cover of FLORETTE with all of us! Florette will be on sale in the US from Clarion Books beginning February 20, 2018.